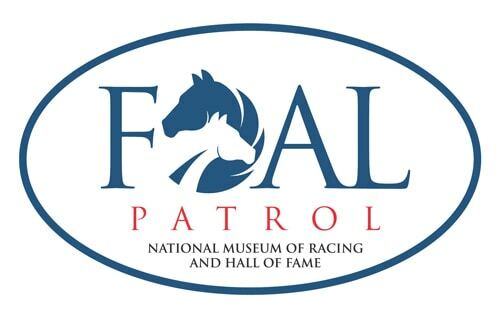 The National Museum of Racing and Hall of Fame will launch an innovative new project called Foal Patrol, a one-of-a-kind collection of live web cameras where people can view real-time streams of several in-foal mares during their pregnancy through the actual foaling. The live camera feeds will be available beginning Dec. 19 from 7 a.m. to 5 p.m. EST daily with extended hours as the expected foaling date approaches. The live cameras can be accessed for free by visiting www.foalpatrol.com. The website is optimized for viewing across all media platforms, including tablets and smart phones. Foal Patrol will debut with five mares: Sabbatical at Claiborne Farm in Paris, Ky. (in foal to War Front with an expected foaling date of Jan. 28, 2018); Stopchargingmaria at Three Chimneys Farm in Versailles, Ky. (in foal to Pioneerof the Nile with an expected foaling date of Feb. 2, 2018); Centre Court at Shawnee Farm in Harrodsburg, Ky. (in foal to Medaglia d’Oro with an expected foaling date of Feb. 19, 2018); La Verdad at Edition Farm in Hyde Park, N.Y. (in foal to Tapit with an expected foaling date of March 15, 2018); and Memento d’Oro at Old Tavern Farm in Saratoga Springs (in foal to Bodemeister with an expected foaling date of March 31, 2018). Three additional mares are scheduled to be added to the Foal Patrol roster in March 2018: Via Veneto at Double Diamond Farm in Ocala, Fla. (in foal to Bodemeister with an expected foaling date of April 25, 2018); Bird Town at Gainesway Farm in Lexington, Ky. (in foal to Empire Maker with an expected foaling date of April 26, 2018); and Arravale at Chanteclair Farm in Versailles, Ky. (in foal to American Pharoah with an expected foaling date of May 24, 2018). Foal Patrol will provide viewers with unprecedented access to what daily life for a mare in foal is like. Each individual mare page will feature updates on the horse and extensive educational content, including information on breeding, nutrition, information about the stallion the mare was bred to and fun facts. 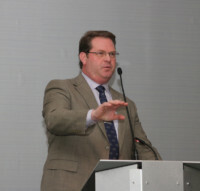 There will also be a comprehensive background of each mare that includes its racing history, video and image galleries. Regular blogging, video content and audio interviews will keep fans of the horses updated on daily activities. Following the foaling, there will be updates on the development of the foal. Fans following Foal Patrol can sign up for various contests, including opportunities to name some of the foals once they are born. 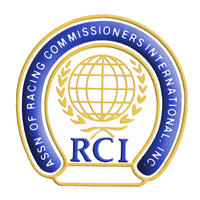 There will be several prize packages announced throughout the duration of Foal Patrol that will feature unique racing experience packages. Whitney and Hendrickson have donated their box seats for the 2018 Kentucky Derby and Kentucky Oaks as the grand prize. The box seats six and is located at the finish line at Churchill Downs. People can also sign up for alerts when there is notable activity involving the mares such as new blog postings or when the mare is close to the foaling date. Countdown clocks for each mare’s expected foaling date will be included throughout the site.